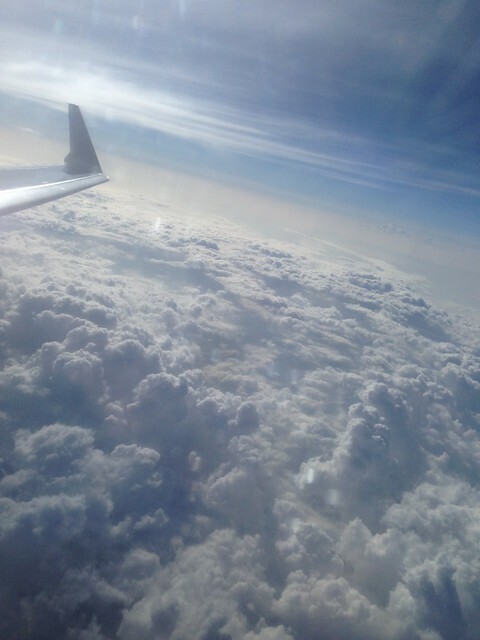 I awoke early yesterday morning In the northeast to a fury of activity and quickly caught a south-bound airplane. 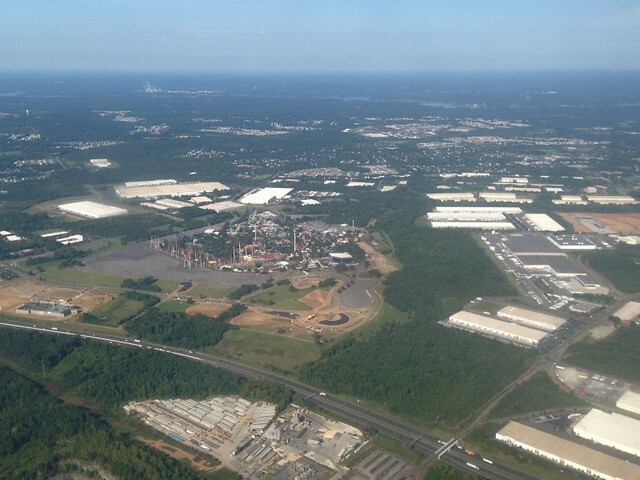 The park is getting ready for their big announcement as my plane approaches Charlotte International Airport. 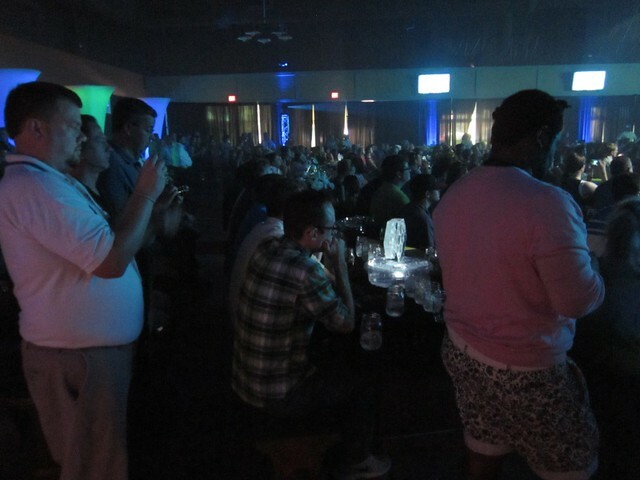 With some careful planning and a little bit of luck, I arrived with 15 minutes to spare for the largest announcement in Carowinds’ history. 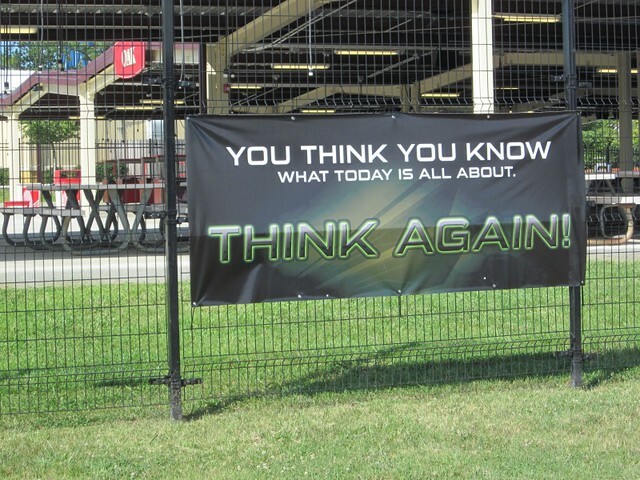 As I walk towards the entrance they continue to tease us with hints. If only I knew how much the park would be changing as I approached the check-in at the entrance. 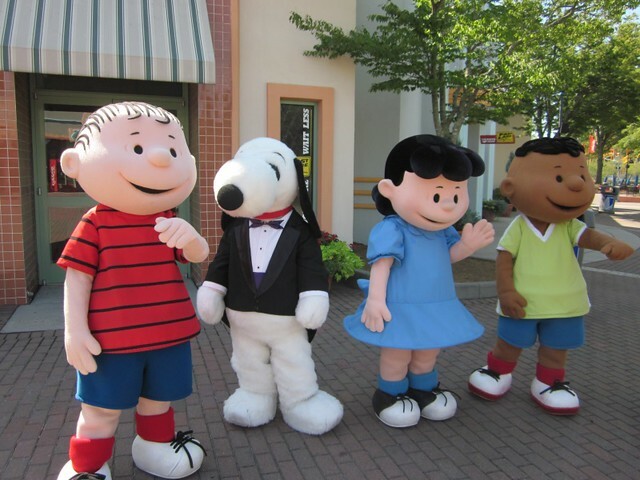 …and Snoopy and the gang were on hand to greet us. Snoopy is certainly dressed for the occasion. 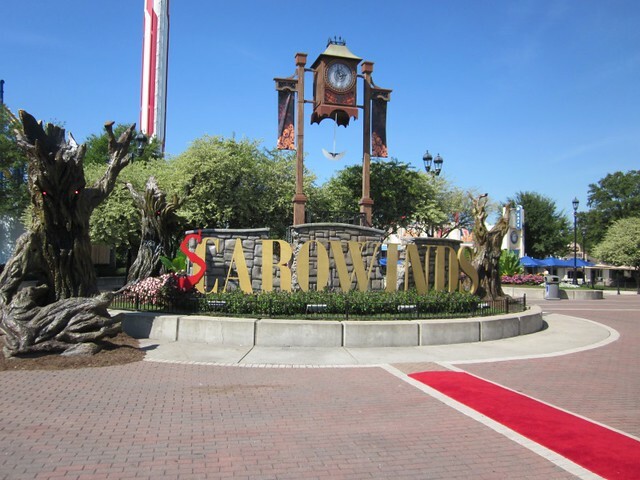 Preparations are also underway for the park’s Halloween haunt event, SCarowinds. 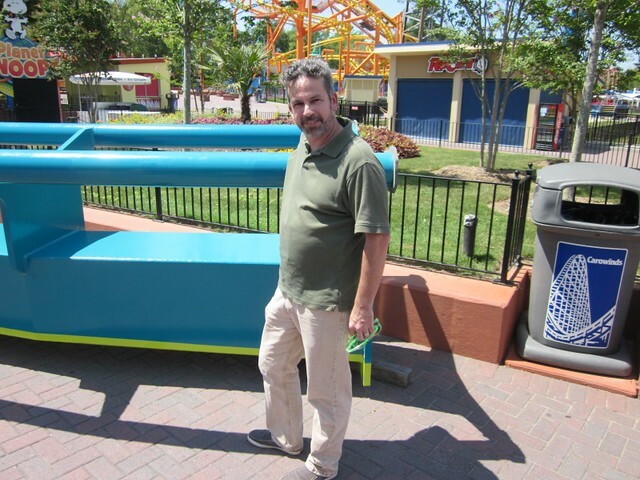 I made my way to Harmony Hall and caught up with some of my friends at Carowinds Connection and American Coaster Enthusiasts. 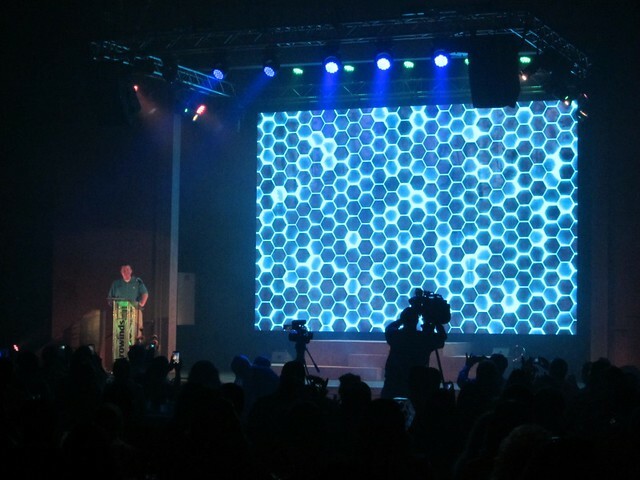 The anticipation builds as Carowinds begins to make the announcement for 2015. 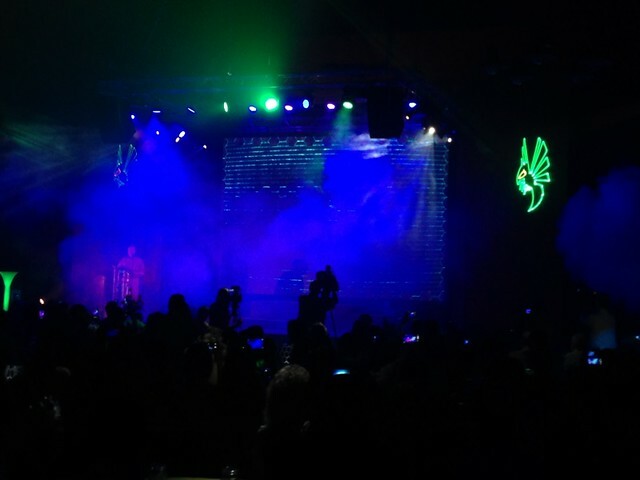 Before they can get very far, the Overlord and his creatures from the dark emerge and take over the show for a few minutes to let us know what is coming to SCarowinds for 2014. 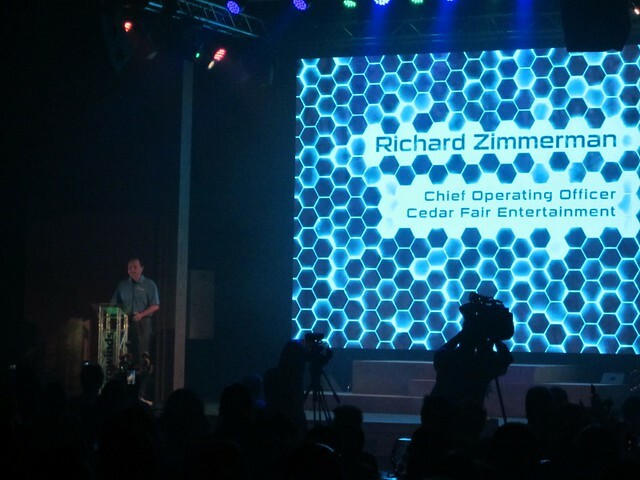 Richard Zimmerman, the COO of Cedar Fair is on hand to make his remarks on the how the parent company is working to bring Carowinds up to the level that you would expect to find in the United State’s 16th largest city. 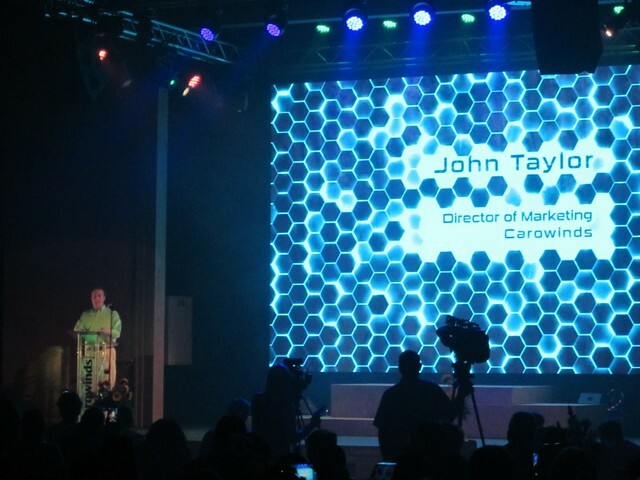 John Taylor, the Director of Marketing for Carowinds, gets the honor of announcing what is in store for 2015. 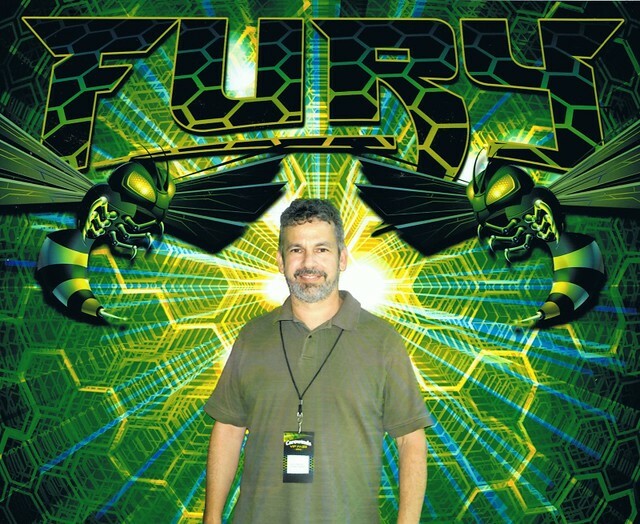 Fury 325! 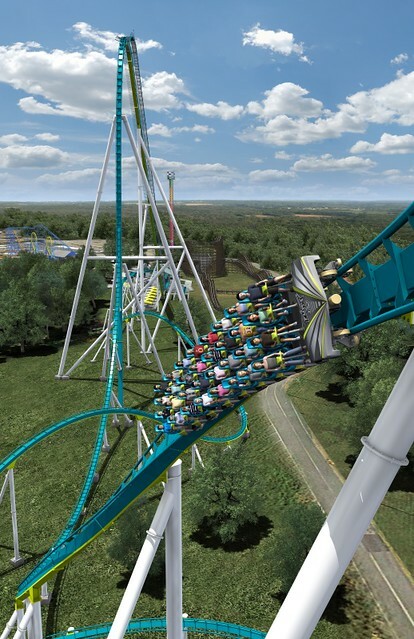 The world’s tallest and fastest giga coaster! 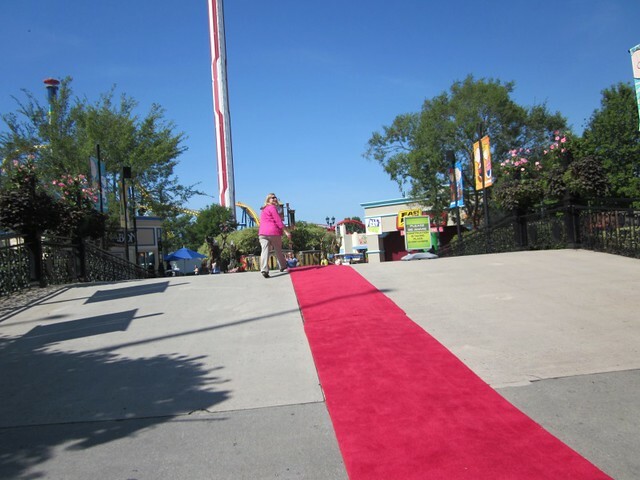 It is going to top out at an amazing 325 feet and reach speeds of 95 miles per hour while it traverses the 6,602 feet of track! But wait. There’s more. 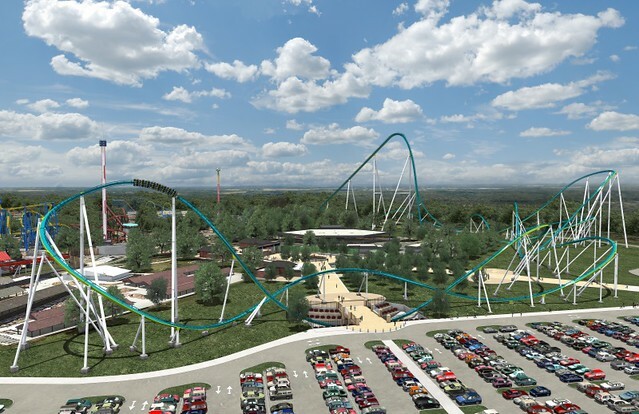 Included for next year is an entirely redesigned front gate and parking area that Fury 325 will interact with. 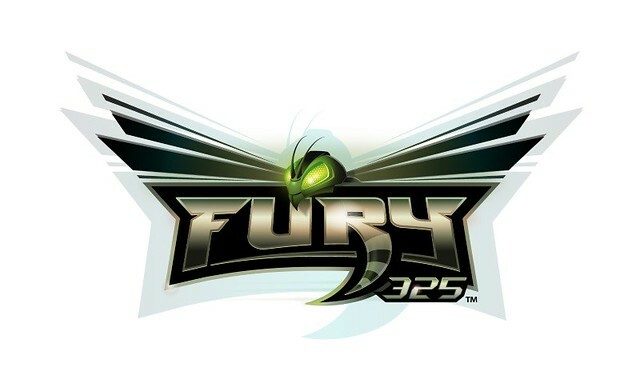 Fury 325. 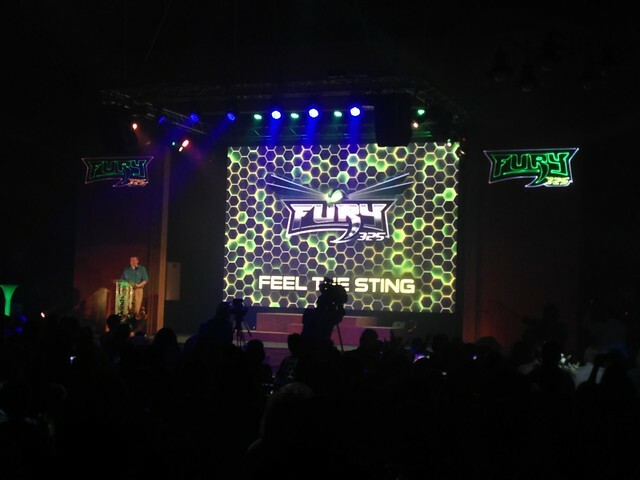 Feel the sting. 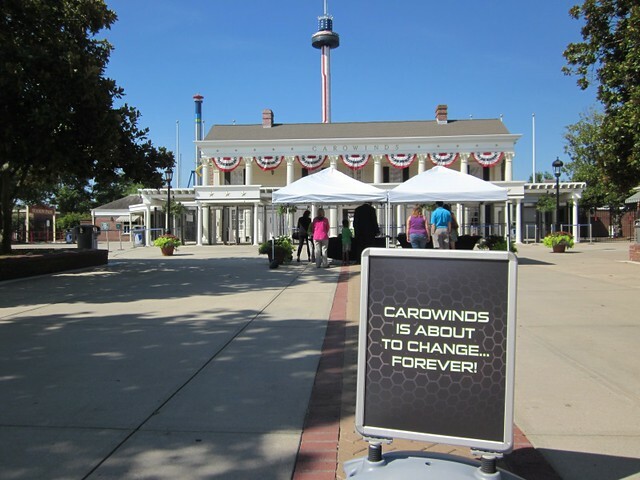 Come on over to Carowinds Connection and join the discussions about Carowinds. You never know what may be up their sleeves between now and opening day 2015. 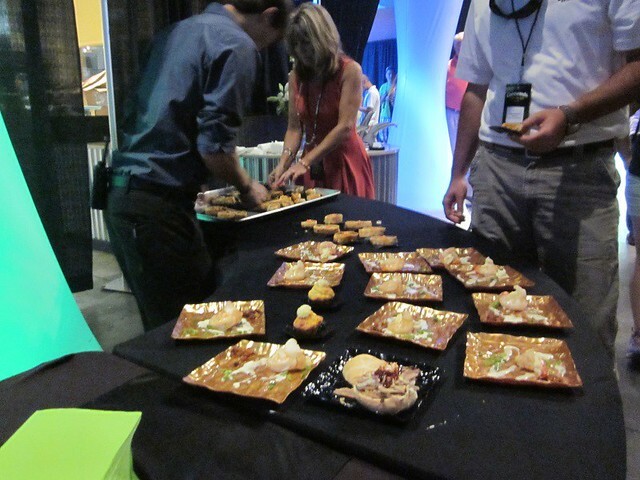 After the announcement we were treated to some of the great awesome new Carolina-themed food items that will be available next year from the new executive chef including shrimp and grits, BBQ, and more! 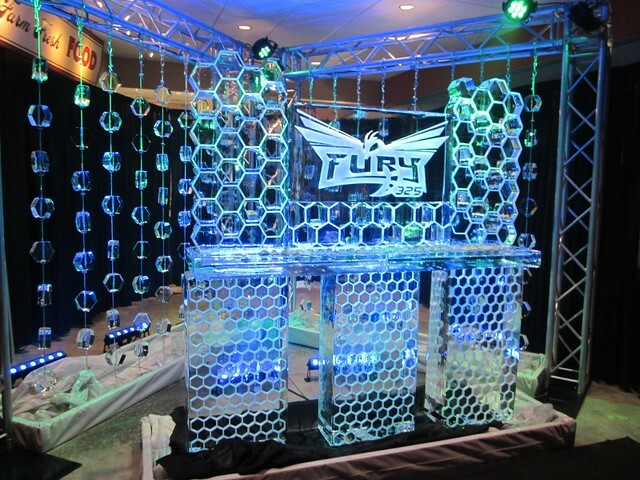 They also had a cool ice sculpture on hand to celebrate. 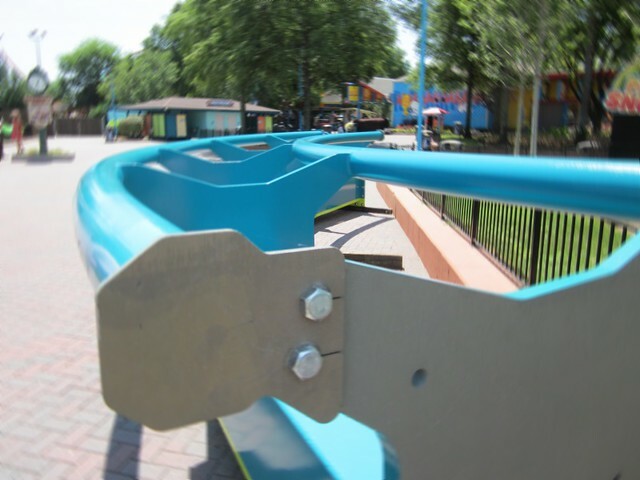 What is a coaster announcement without track? Here’s a close up view of the track. 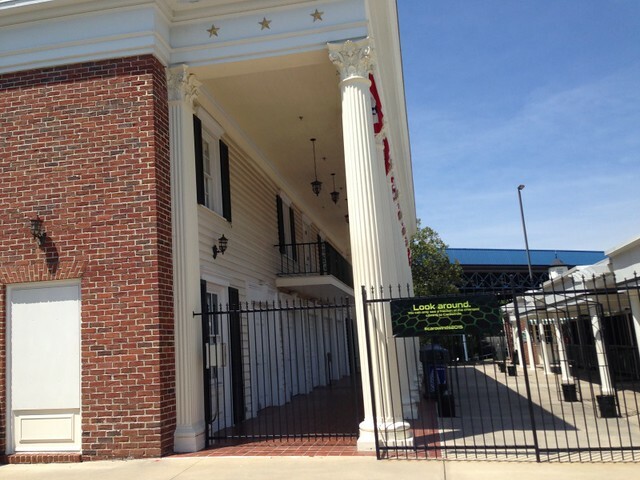 At the day wraps up, we head out giving some of our last respects to the front entrance plantation house. While it has been around since the beginning, sometimes sacrifices have to be made to move forward. 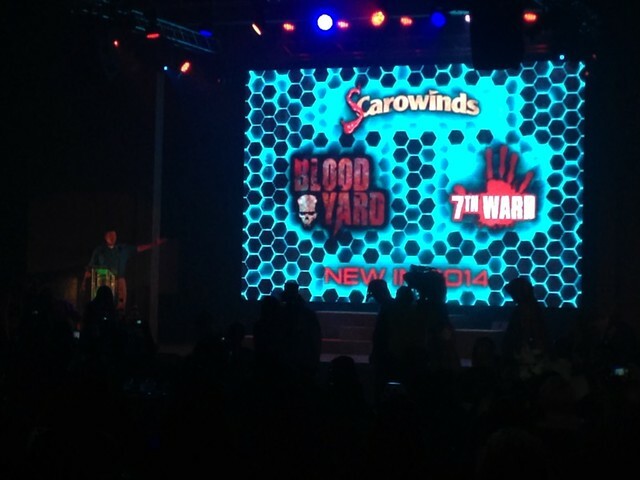 A huge thank you to Carowinds for putting on a spectacular announcement event and I look forward to watching you grow into one of the leading amusement parks!